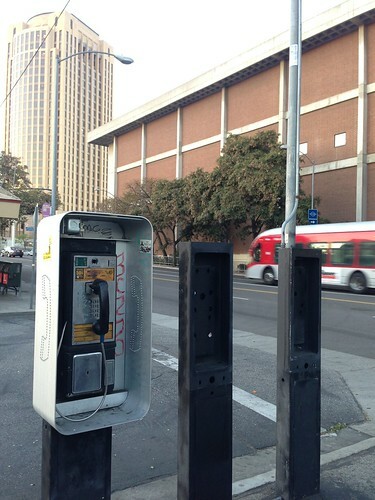 PIC: Haven’t seen a pay phone in the wild for a long time. 50¢ for a local call? PIC: Haven’t seen a pay phone in the wild for a long time. 50¢ for a local call?, originally uploaded by @jozjozjoz. At the Denny’s behind Union Station at Ramirez and Vignes.